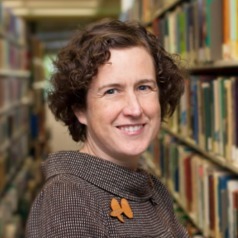 Dr Rachel Buchanan is a teaching and research academic at the University of Newcastle. She is a teacher educator researching in the areas of educational philosophy and policy and social theory. She is particularly interested in the intersection of educational philosophy and educational policy around the use of technology and how this impacts upon educational systems and the practice, education and identities of teachers and students. She is currently investigating students' digital footprint awareness, understanding and knowedge. Her research is underpinned by her passion for social justice and equity. She is a founding member of the DICE (Digital Identity, Curation and Education) research group which examines. DICE is a network of scholars interested in digital footprint, curation of online presence, and serious games for learning. DICE investigate new frontiers in digital engagement and education to produce research and resources (e.g. apps and games) for today’s learner.